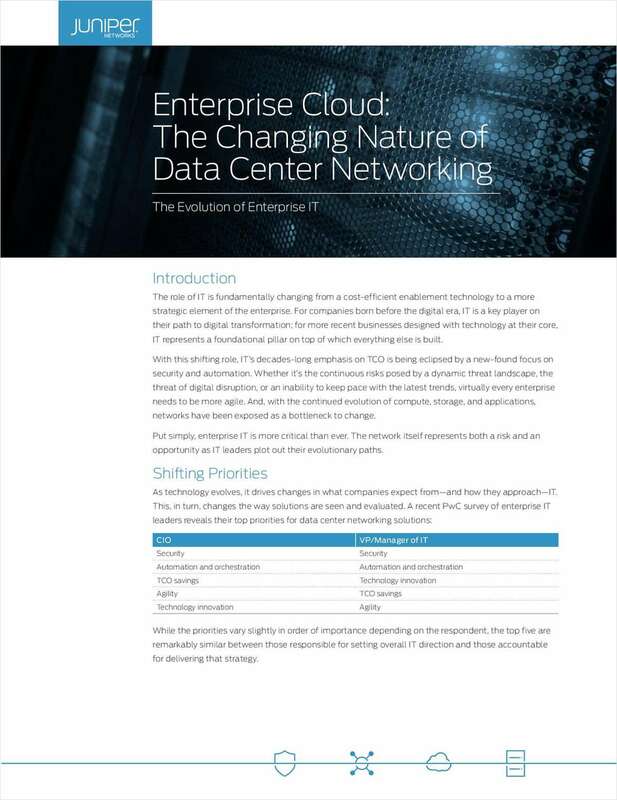 "Enterprise Cloud: The Changing Nature of Data Center Networking"
Free White Paper: "Enterprise Cloud: The Changing Nature of Data Center Networking"
By submitting this content request, I have legitimate interest in the content and agree that Inspira, their partners, and the creators of any other content I have selected may contact me regarding news, products, and services that may be of interest to me. What is your next IT project plan? How much is your annual IT Budget in USD?